Inspired Entertainment, Inc. have announced the products that it will showcase at ICE London 2019, demonstrating what makes Inspired “Essential Entertainment”. Whether Virtual Sports, Server Based Gaming or Interactive, Inspired brings engaging and creative content and solutions that are proven performers for regulated operators globally. Virtual Sports have become a necessity for regulated operators around the globe. Virtual Sports create continual streams of betting content and a higher frequency complement to real sports betting. The ease and simplicity make Virtual Sports accessible to both novice and experienced players, and the fast-paced action appeals to that hard-to-reach millennial demographic. As the pioneer of Virtual Sports, Inspired has recreated the action of the world’s most popular sports for more than 15 years. This year, ICE visitors will be in awe of the award-winning visual effects at Booth #S2-310. There you can see Inspired’s most popular products, such as Rush Football® and Virtual Horse Racing, as well as its most recent launches, including 1st DownTM Football and Virtual Grand National. And the magic of Virtuals keeps getting better. At this year’s ICE, Inspired will be introducing the latest Virtual Sport to join its line-up. 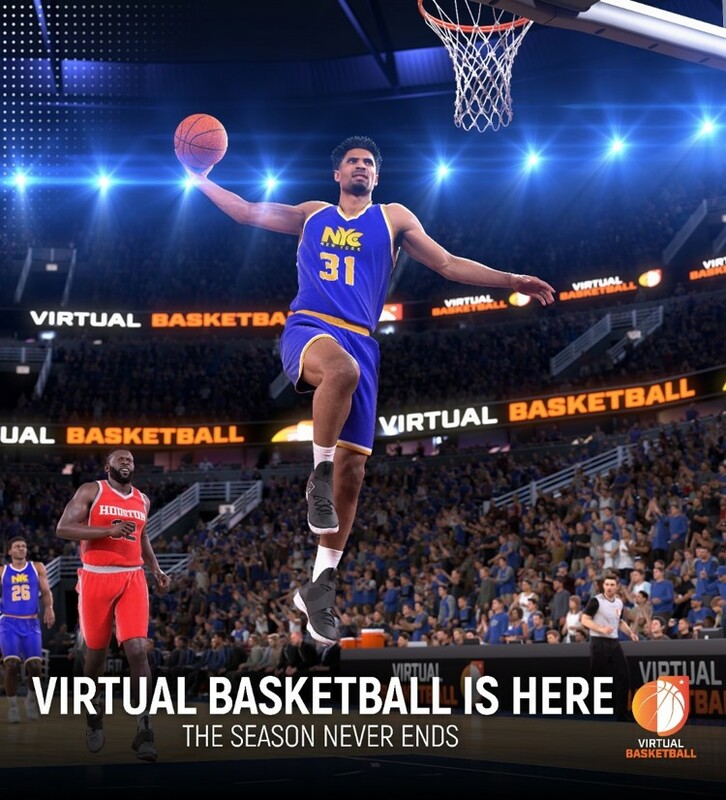 Its groundbreaking new Virtual Basketball game, using the latest in motion capture technology, brings Virtual Sports to a new level of realism, delivering an experience and not just a game. 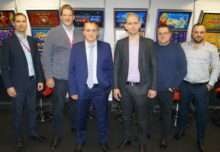 With more than 33,000 video lottery terminals (“VLTs”) installed, Inspired is a leader in server based gaming, outperforming competitors in key jurisdictions throughout Europe. ICE visitors will be able to see firsthand Inspired’s strong suite of customized content, which is GSA compliant for private or government operators. In keeping with the theme of new product releases, Inspired will also be introducing a new server based gaming cabinet at ICE. The ValorTM cabinet boasts striking dual 27” ultra-high definition floating screens that deliver a unique and immersive player experience. Built-in screen frame lights offer enhanced front-facing contextual lighting and rear-facing ambient lighting. This cabinet also supports open standard G2S VLT protocol. Valor serves every type of player, allowing visitors to play the core slot games and blockbuster multi-bonus games. Valor will not only provide new player experiences for existing markets but will also take Inspired into new jurisdictions with specific content developed for North America and Europe. London will see a wider portfolio of top-performing Interactive content available across major regulated jurisdictions, with more than 60 slots, tables and virtual on demand games. Inspired’s display will include its brand new Plug N PlayTM solution, a complete end-to-end online Virtual sportsbook product that allows operators to access Inspired’s award-winning scheduled Virtual games with minimal integration effort and rapid speed-to-market. With more than 33,000 visitors, ICE is the world’s biggest and most international gaming technology event, and a great opportunity to communicate the strength and breadth of Inspired’s product offerings, demonstrating why Inspired is “Essential Entertainment”. About Inspired Entertainment, Inc. Inspired is a global games technology company, supplying Virtual Sports, Mobile Gaming and Server Based Gaming systems with associated terminals and digital content to regulated lottery, betting and gaming operators around the world. Inspired currently operates over 30,000 digital gaming terminals and supplies its Virtual Sports products through more than 40,000 retail channels and over 100 websites, in approximately 35 gaming jurisdictions worldwide. Inspired employs more than 650 employees in the UK and elsewhere, developing and operating digital games and networks. Additional information can be found at www.inseinc.com. Forward Looking Statements This news release contains “forward-looking statements” within the meaning of the “safe harbor” provisions of the U.S. Private Securities Litigation Reform Act of 1995. Forward-looking statements may be identified by the use of words such as “anticipate”, “believe”, “expect”, “estimate”, “plan”, “outlook”, and “project” and other similar expressions that indicate future events or trends or are not statements of historical matters. These statements are based on our management’s current expectations and beliefs, as well as a number of assumptions concerning future events. mmission, including our annual report on Form 10-K, our quarterly reports on Form 10-Q and our current reports on Form 8-K, which are available, free of charge, on the SEC’s website at www.sec.gov and on our site at www.inseinc.com.